Jeffery S. McMullen is Professor of Entrepreneurship, Dale M. Coleman Chair of Management and Editor of Business Horizons at the Kelley School of Business at Indiana University. Dr. McMullen earned his M.B.A. and Ph.D. in Strategic Management and Entrepreneurship at the University of Colorado, and his Bachelor of Accountancy at New Mexico State University. He studies entrepreneurship as a process of both self-discovery and socio-economic change, investigating entrepreneurial cognition, motivation, action, and opportunity in the context of conventional, social, sustainable, and development entrepreneurship. Dr. McMullen’s research has been published in numerous premier journals, including Academy of Management Review, Strategic Management Journal, Journal of International Business Studies, Journal of Business Venturing, Journal of Management Studies, Organization Studies, Entrepreneurship Theory & Practice, and Strategic Entrepreneurship Journal and honored by the Academy of Management’s (AOM) Entrepreneurship Research Exemplars Conference, the National Federation of Independent Business, the Ewing Kauffman and Coleman Foundations, and the AOM’s Entrepreneurship Division. He currently serves as the Editor-in-Chief at Business Horizons, Associate Editor at the Journal of Business Venturing, and numerous editorial boards. Jeff teaches courses in research methods, new venture ideas and models, social entrepreneurship, strategic entrepreneurship, strategic management, and sustainable business. He has won the Kelley School of Business’s Innovative Teaching Award, the Trustees Teaching Award (multiple times), the Sauvain Teaching Award, and the AOM and McGraw-Hill/Irwin Award for Innovation in Entrepreneurship Pedagogy. 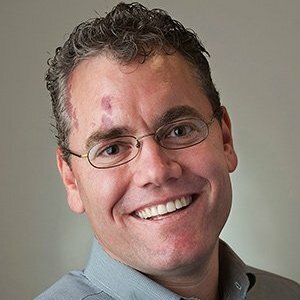 Before becoming an academic, Jeff consulted and created new ventures in the Boulder Valley and worked as a CPA in the Information, Communications, and Entertainment (ICE) division of KPMG, Denver. Research summary: Exploiting opportunities is critical to a firm's competitive advantage. Not surprisingly, there has been considerable interest in the processes by which top managers allocate attention to potential opportunities. Although such investigations have largely focused on top-down processes for allocating attention to the environment, some studies have explored bottom-up processes. In this article, we consider both top-down and bottom-up processing to develop a model by which top managers form opportunity beliefs for strategic action depending on the allocation of transient and sustained attention. Specifically, this attentional model provides insights into how a top manager's attention is allocated to identify potential opportunities from environmental change and explores how different modes of attentional engagement impact the likelihood of forming beliefs about radical and incremental opportunities requiring strategic action. Managerial summary: Managers are interested in noticing and exploiting opportunities because the exploitation of an opportunity represents an important strategic action. Noticing and exploiting opportunities depends on how and where top managers allocate their attention. Managers can focus attention based on their knowledge and experience or as a result of something in the environment capturing their attention. In this paper, we consider both knowledge-driven and environment-driven processes for allocating attention to form opportunity beliefs. This opportunity belief arises from a two stage process. The first stage explains how a top manager identifies environmental changes as potential opportunities. The second stage explains how the top manager forms a belief that these identified environmental changes represent a radical or incremental opportunity worthy of exploitation. Public policy studies often seek to determine the effects of policy changes by treating the effects of individual differences as random error. Viewing managers as embedded agents whose social structures are subject to manipulation by policy makers, we illustrate how individual differences can be infused into policy research to glean insight into how and why policy changes affect decisions, such as where to locate new ventures. We consider how the effects of sociopolitical situational attributes (e.g., level of regulation, support services for business, cost of living, and natural and cultural amenities) are influenced by individual differences such as the manager’s position (entrepreneur or corporate executive), political party identification, and political values. Our illustrative investigation suggests that individual differences can systematically influence the efficacy of public policy and therefore deserve greater scholarly attention. We conclude by articulating the benefits of an embedded agency approach to researching entrepreneurship public policy. Critics of entrepreneurial capitalism have argued that entrepreneurship creates dysfunction in individuals, families, communities, and society because entrepreneurs neglect social and environmental dimensions of value in favour of financial value creation. By way of contrast, hybrid organizations, such as Benefit Corporations, are created explicitly to address social and environmental objectives in addition to their financial objective. Therefore, in this paper we explore the consequences of a world of blended value in which every new venture is required to be a hybrid organization. In doing so, we reveal the boundary conditions of current social criticism levied against entrepreneurship and suggest that blended value may best be relegated to the role of ideal or guideline as opposed to normative or legal obligation. Family business and human resource management scholars suggest that firms whose leaders experience affective commitment are more likely to achieve their goals. Building on self-determination theory, we propose a model in which parent-founders promote affective commitment in child-successors by supporting their psychological needs for competence, autonomy, and relatedness within the family business. We conclude by exploring the ethical implications of different parenting approaches in encouraging intrafamily succession. Entrepreurship theory within economics has long touted the importance of judgment in entrepreneurial action. More recently, proponents have begun to advocate extension of this work to organization studies. However, critics of entrepreneurial judgment have responded by claiming that the construct is only meaningful post hoc and vapid when examined ex ante. Instead, they claim that, if entrepreneurship theory is to progress, then judgment must be replaced by a process logic known as effectuation. This article examines their claims and redefines the judgment dilemma as one of scope rather than existence. Empathic accuracy is then introduced to offer a means of addressing their criticism without having to deny the existence of entrepreneurial judgment. Empathic accuracy is also shown to be capable of explaining some of the cognitive mechanisms necessary for effectuation and dynamic socio-economic order.